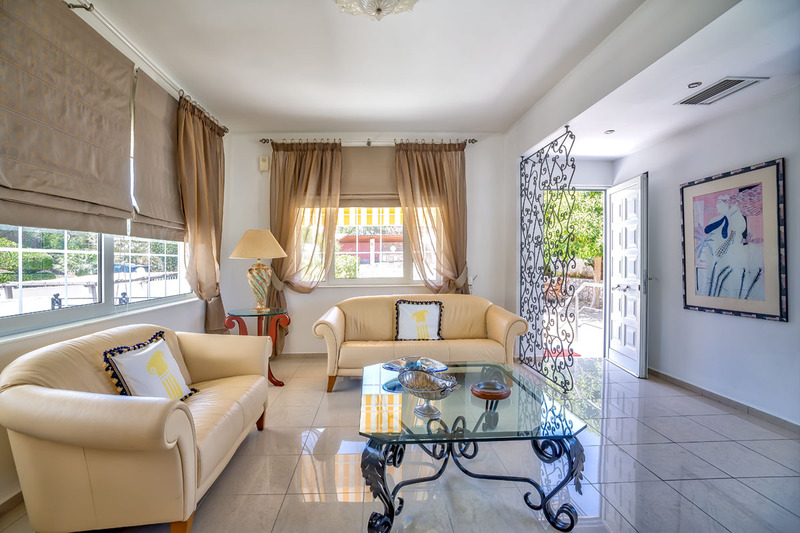 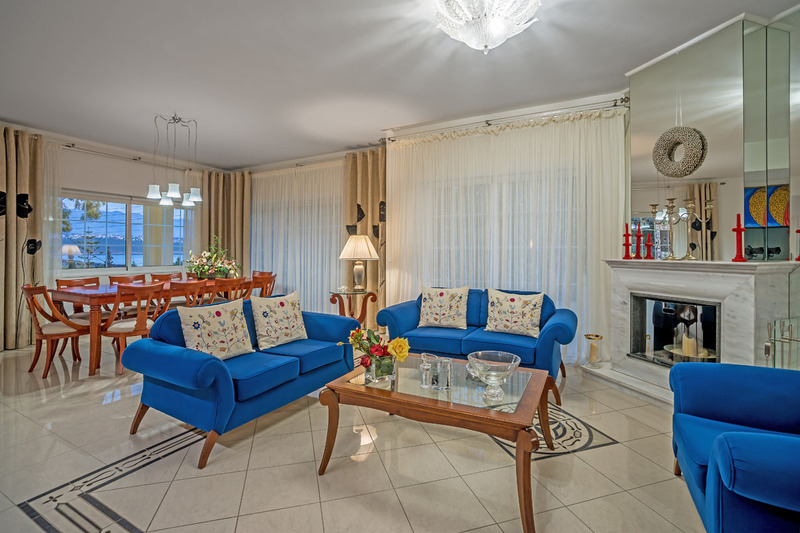 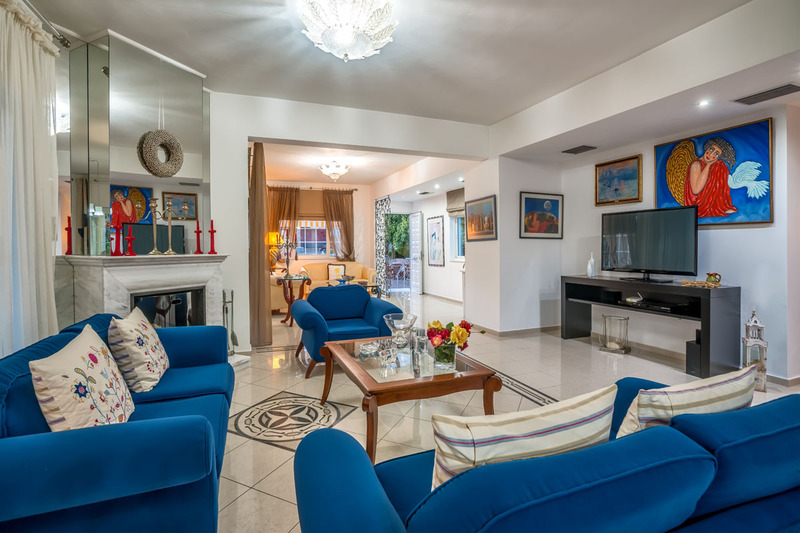 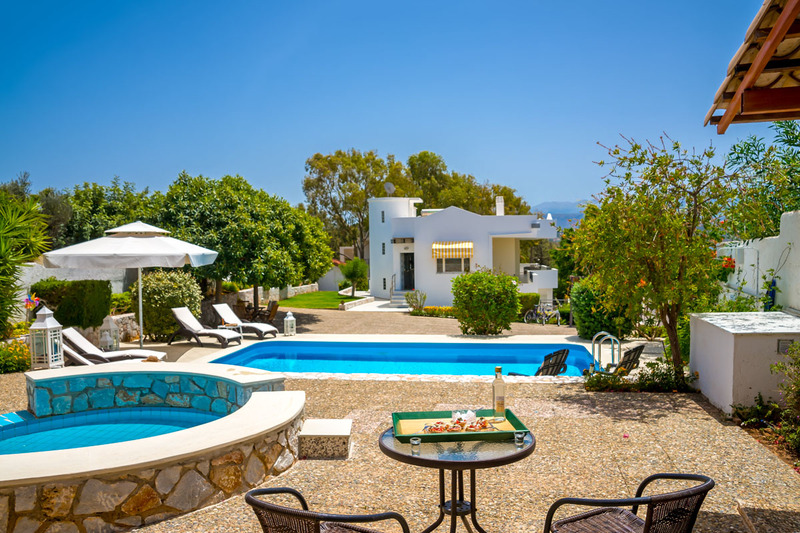 As you enter the villa you walk into the large and very spacious open plan living area furnished with several sofas providing different areas to relax for watching TV, reading or socializing. 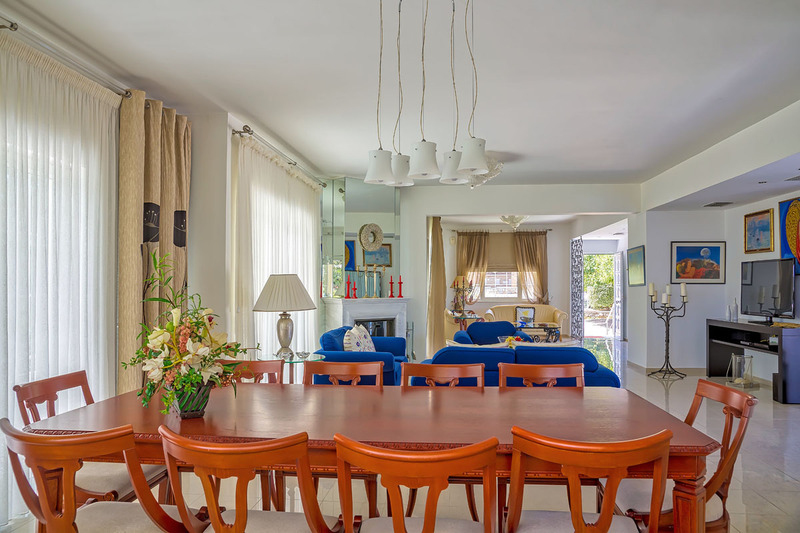 The dining table which comfortably accommodates 8 guests is well situated at one end of the living space, adjacent to the large fully fitted kitchen with every amenity you might need. 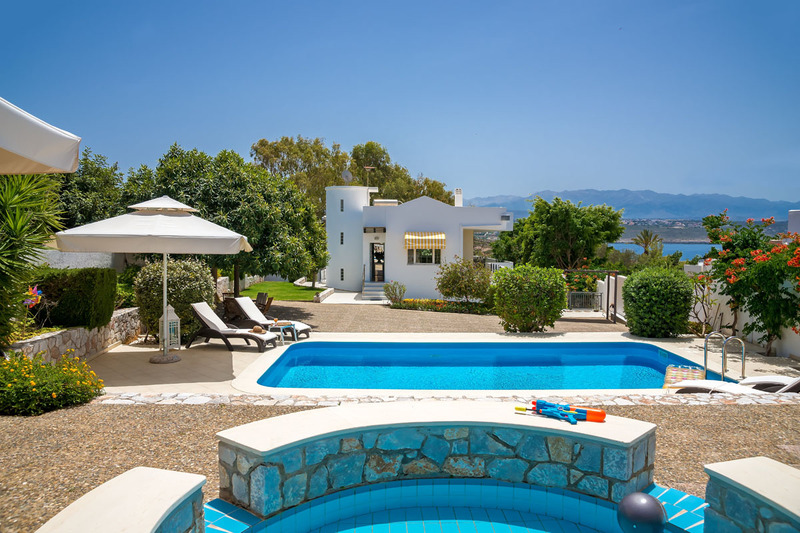 Various doors and windows show off the incredible sea and mountain views and provide access to the many terraces at this villa allowing an easy flow of indoor/outdoor living together with privacy and tranquility. 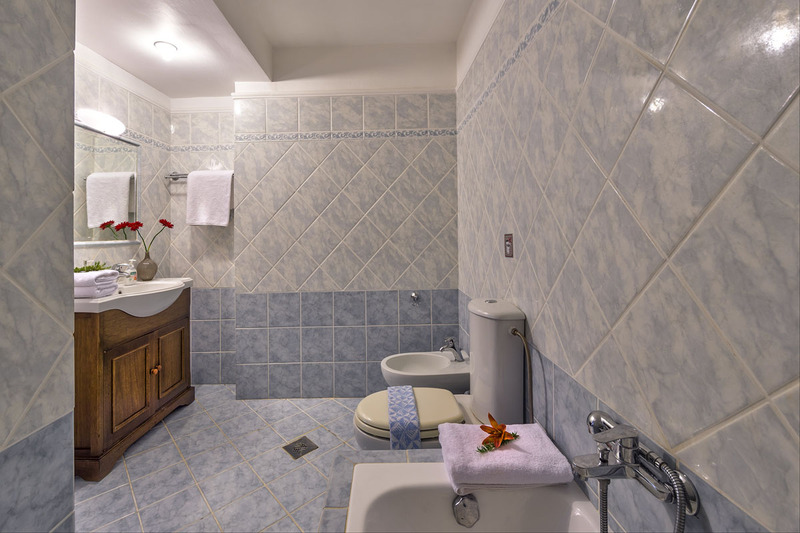 Completing the ground floor accommodation is a guest cloakroom with wc and wash basin. 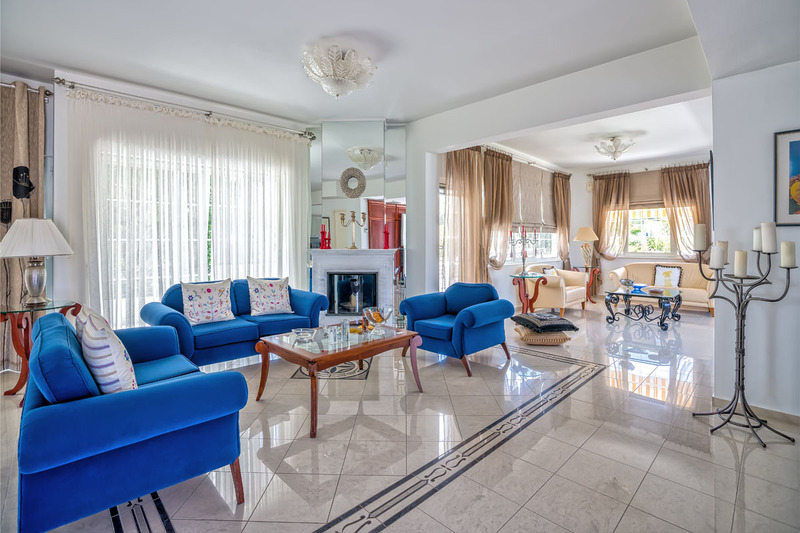 Accessed by a marble staircase, this floor is where all the 4 bedrooms are located. 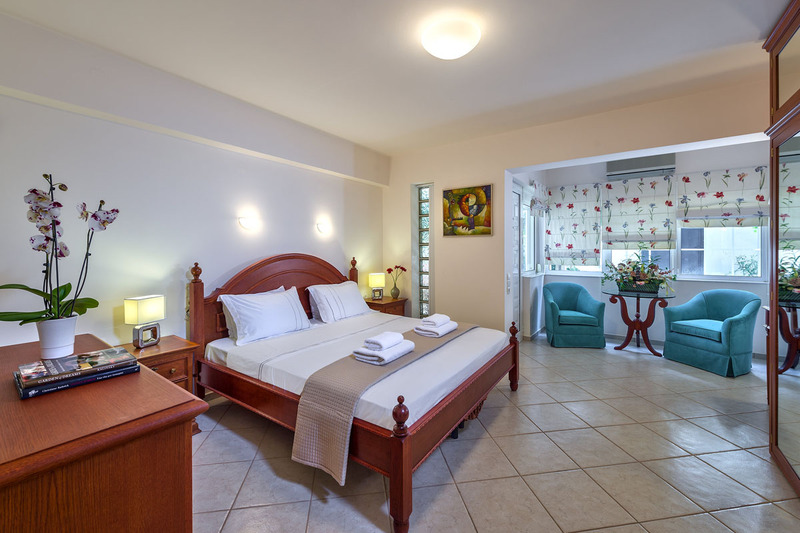 The huge master suite has a king size double bed, a 40 inch TV and a spacious en-suite bathroom with a shower over the bath. 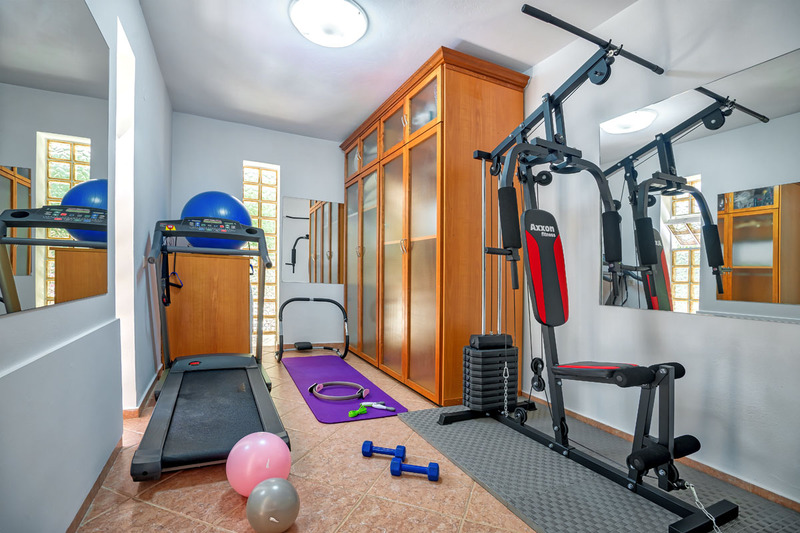 The bedroom also benefits from a large `walk-in` wardrobe where you`ll find plenty of hanging space and for those guests who feel energetic there`s also a treadmill. 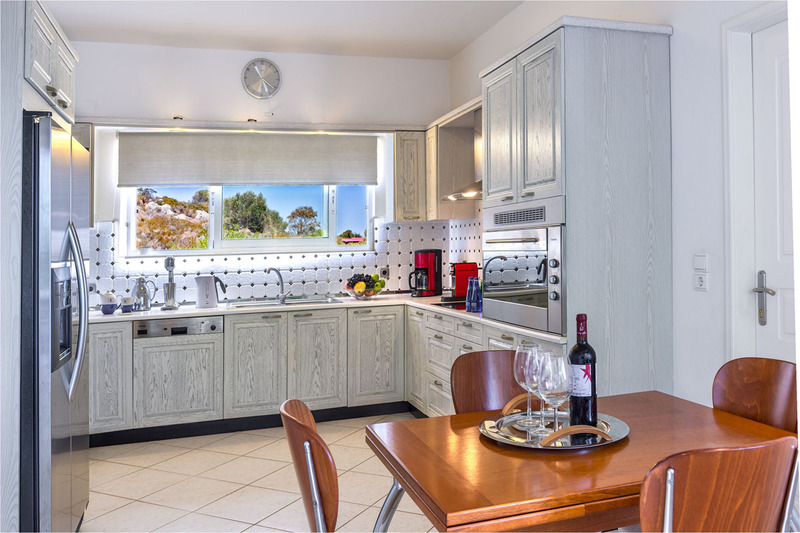 Note - a utility area housing the washing machine leads off this bedroom. 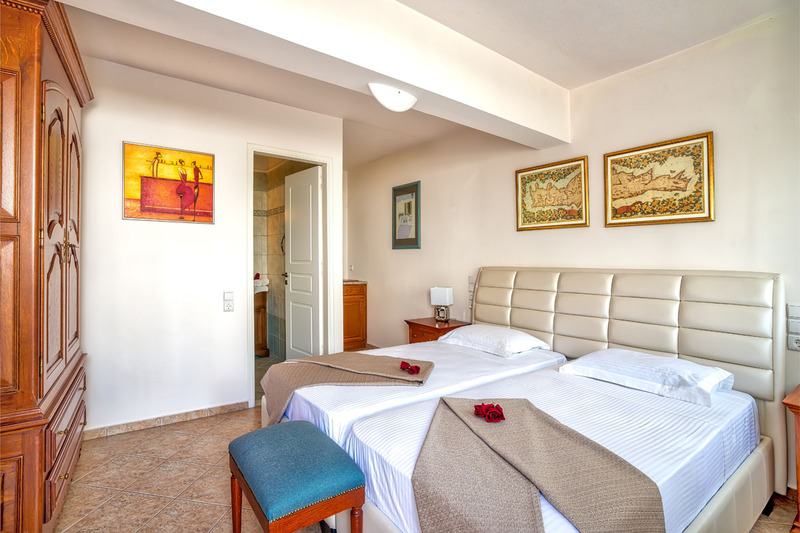 The second king size double bedroom has an ensuite shower room, plenty of wardrobe space and a `living area` providing a small table and two chairs. 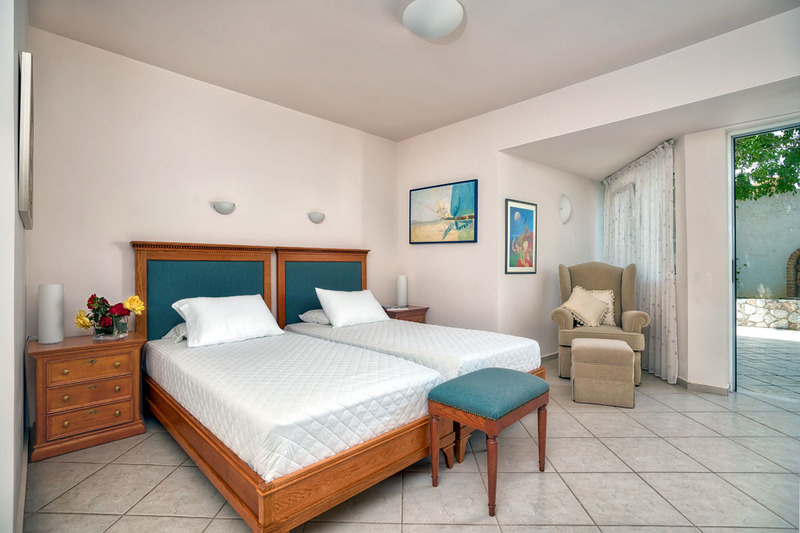 The third twin bedded room also has an en-suite shower room and walk in wardrobe. 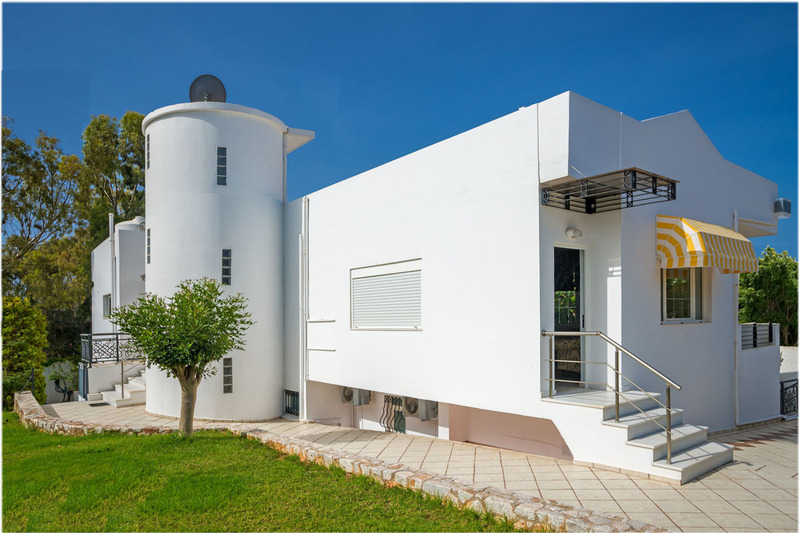 The fourth twin bedded room with en-suite shower room completes the lower ground floor accommodation. 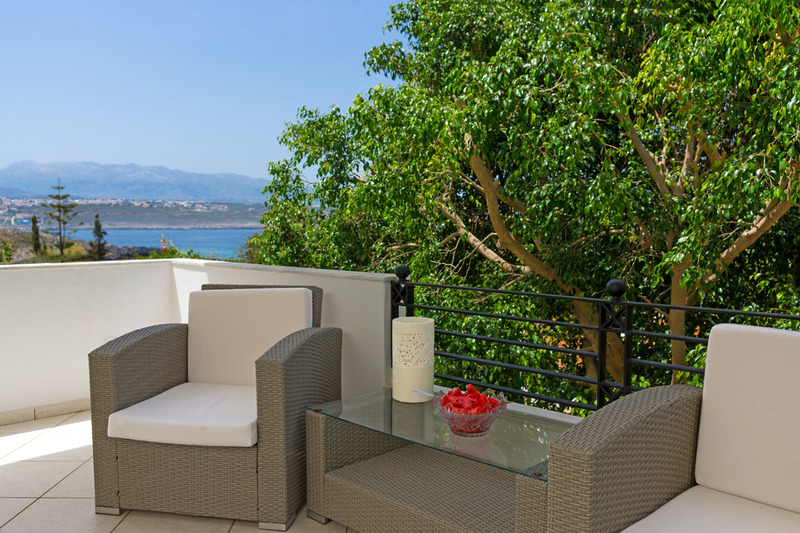 NB - this bedroom can only be accessed from an external door off the terrace area providing additional privacy for some guests. 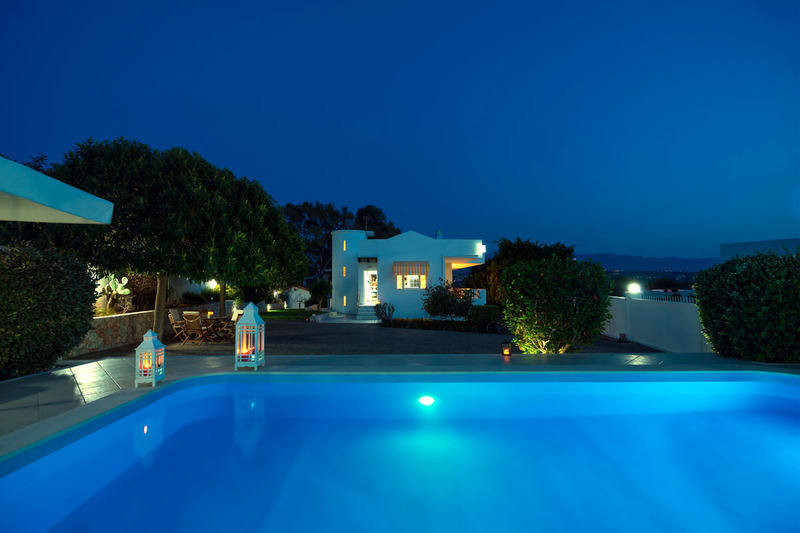 All bedrooms lead on to the extensive terraces that surround the villa. 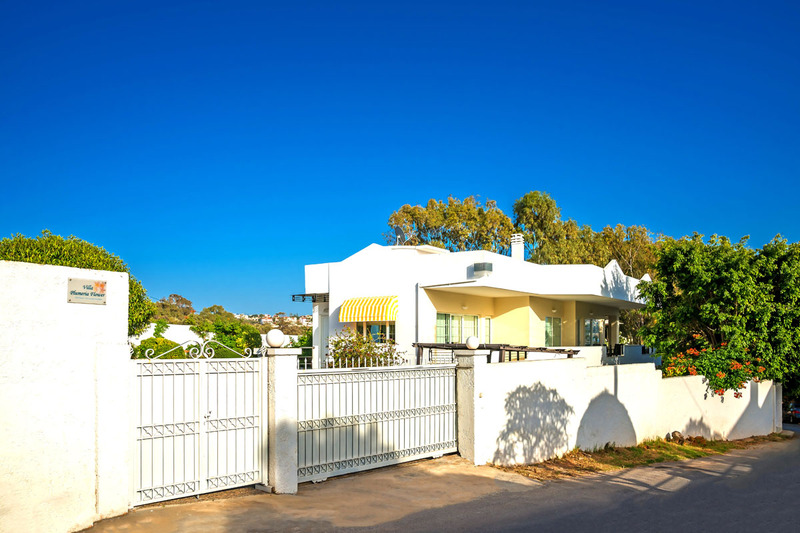 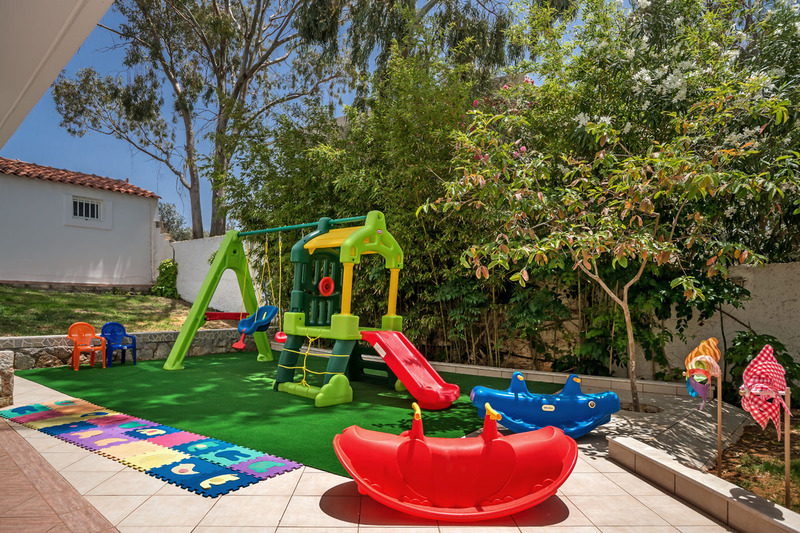 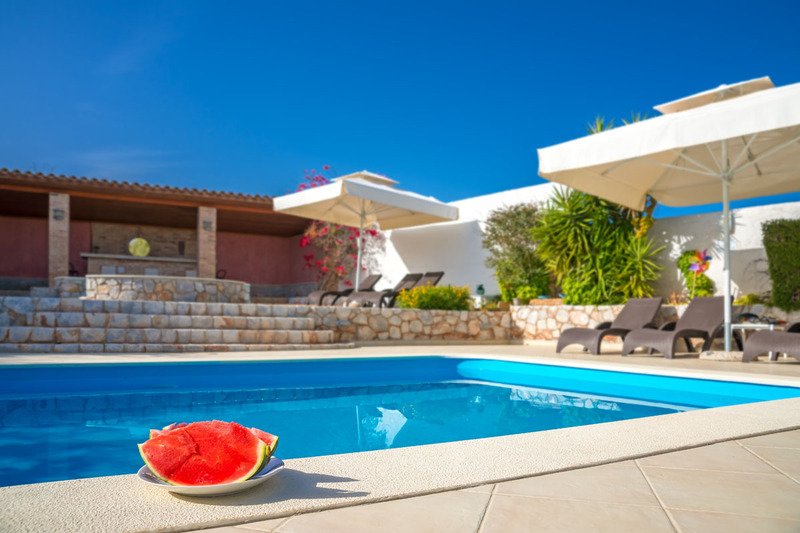 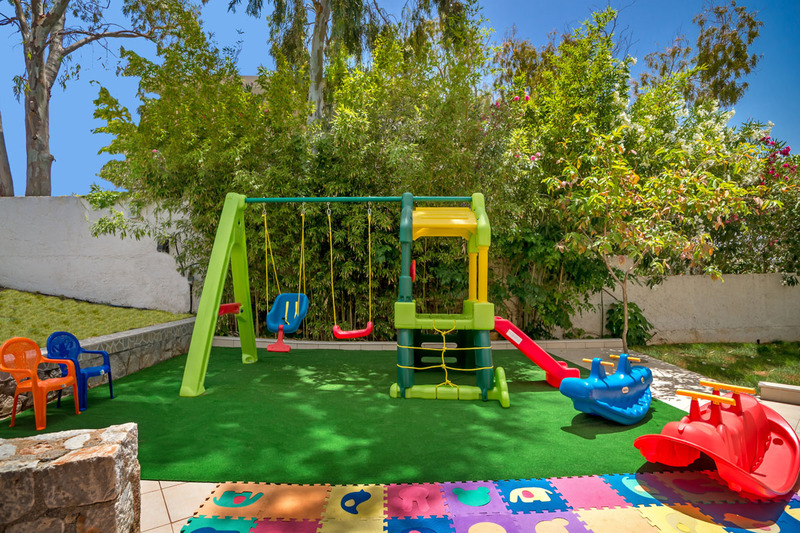 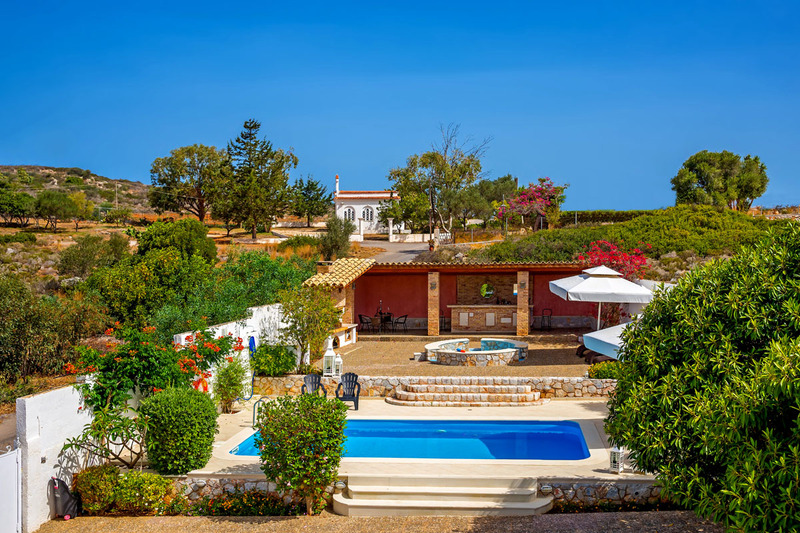 The outside area of the villa is surrounded by a large, mature garden planted with numerous trees and shrubs to provide a colorful backdrop to the pool and BBQ terraces which are private and secure within the walled and gated plot. 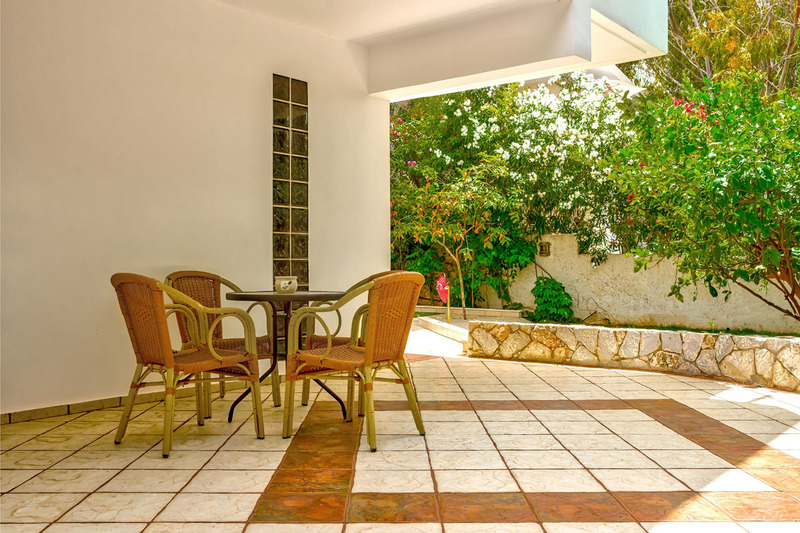 This is a tranquil place providing lots of places to sit and enjoy the peace and quiet of the area. 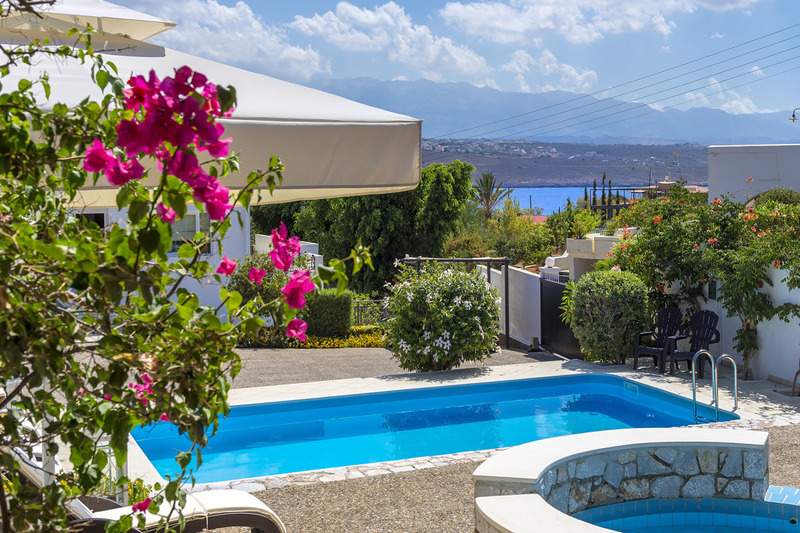 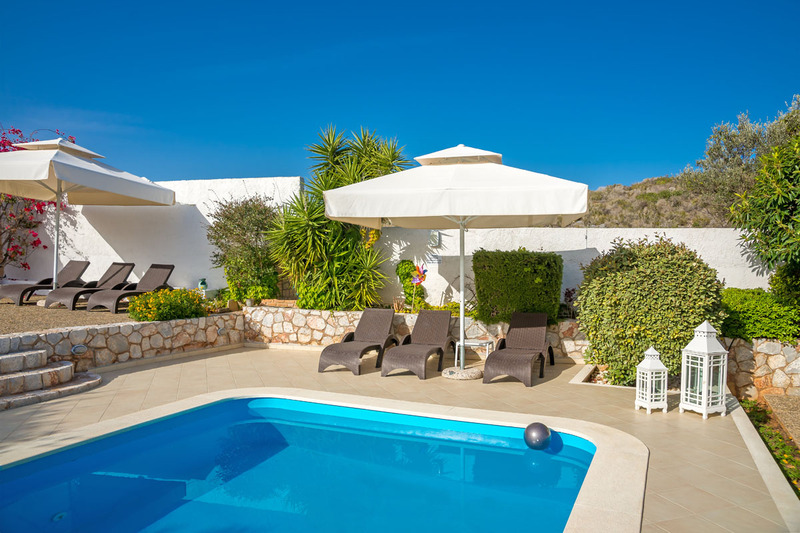 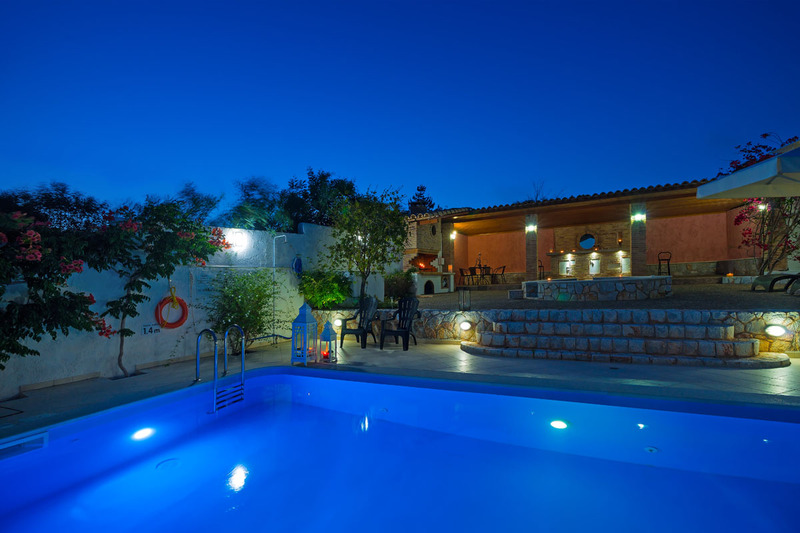 The beautiful pool and children`s pool look out over the bay of Tersanas and the surrounding mountains. 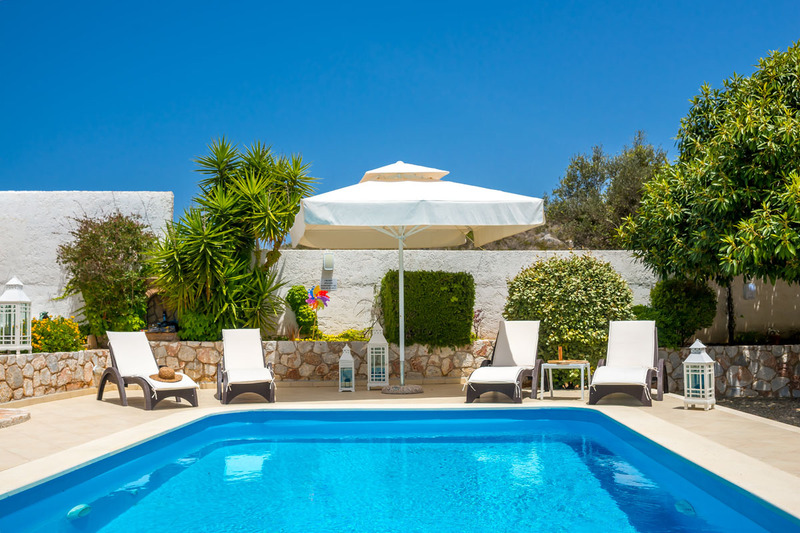 The extensive pool terrace is a favorite place to soak up the sun on one of the luxury loungers but there is also plenty of shade on offer in various parts of the garden with umbrellas supplied by the pool. 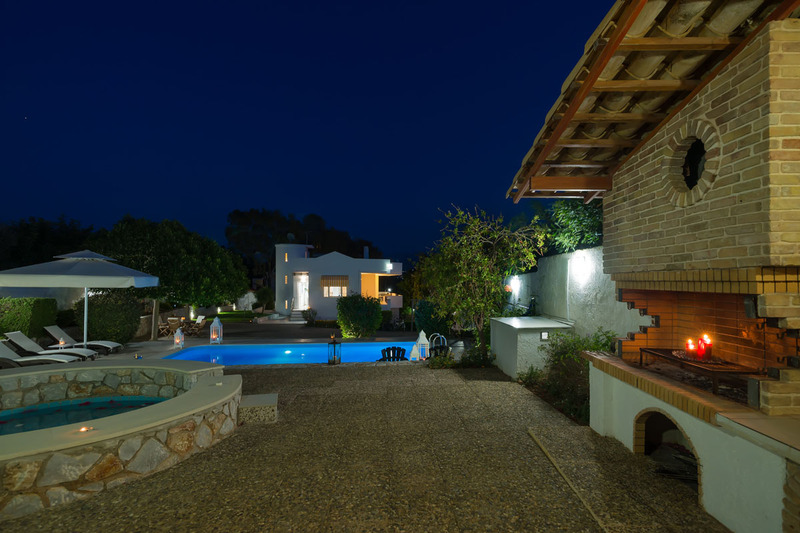 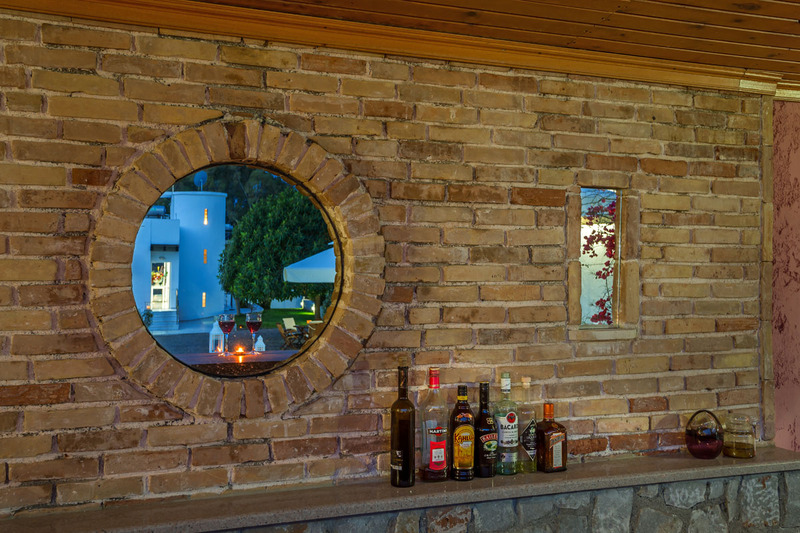 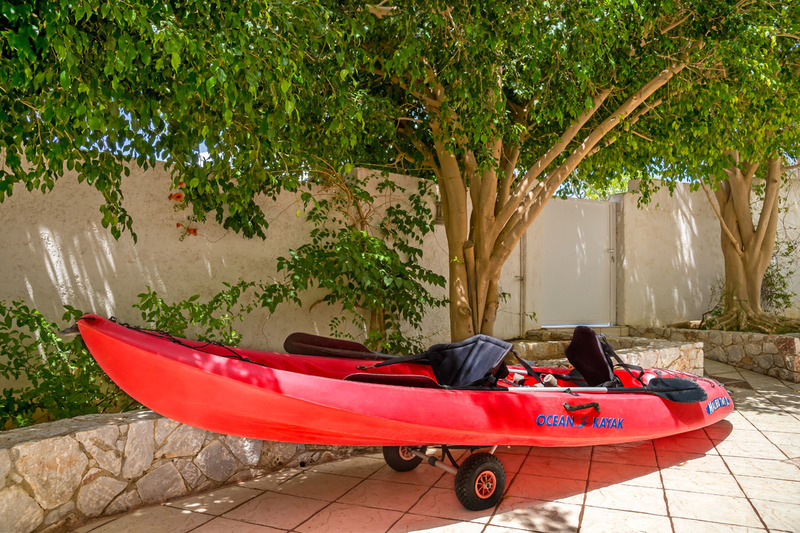 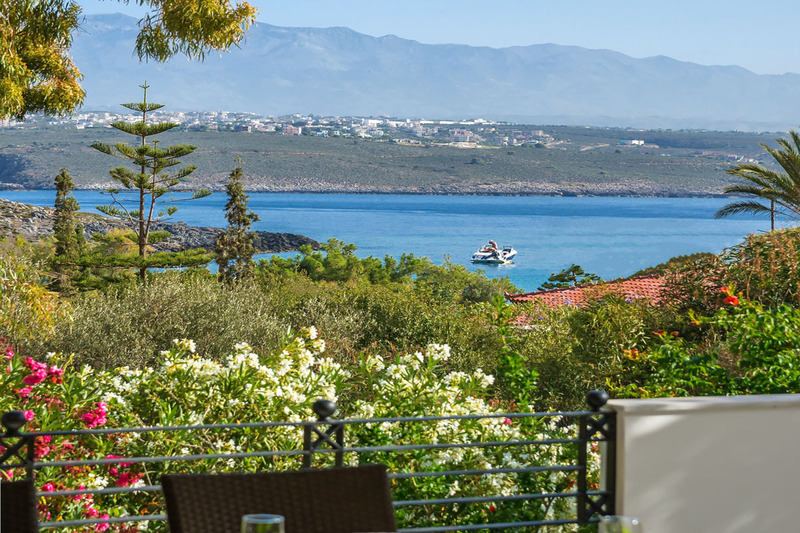 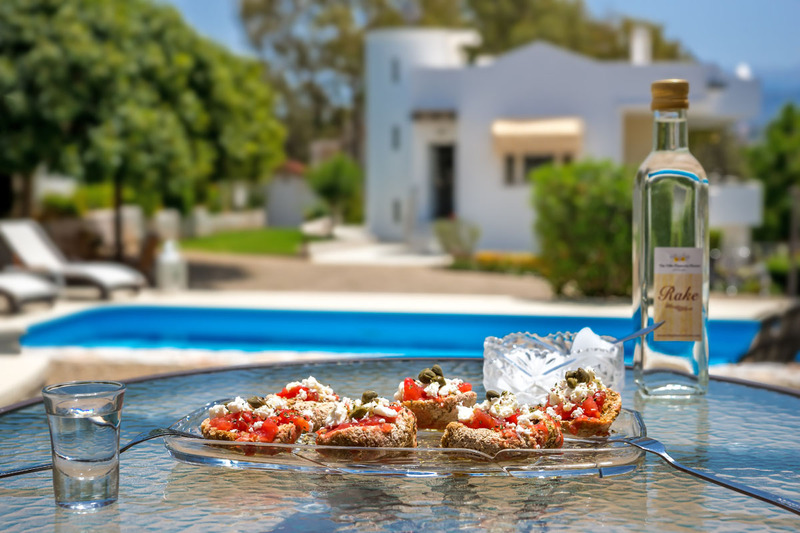 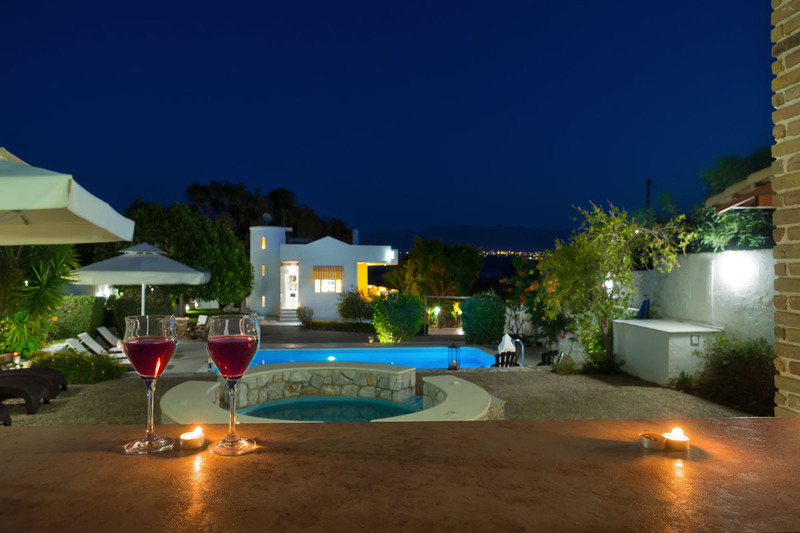 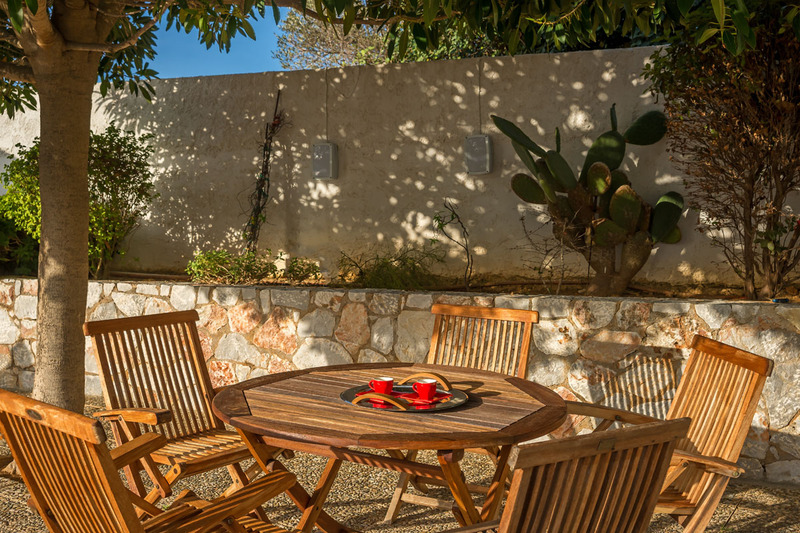 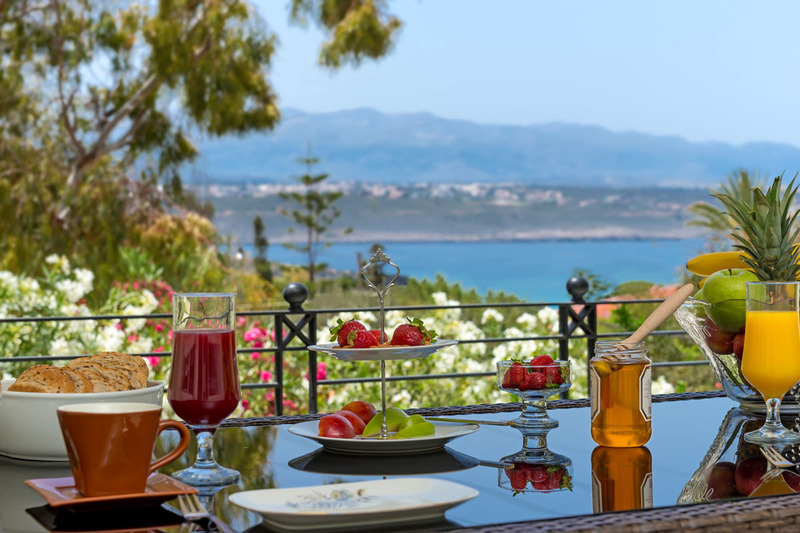 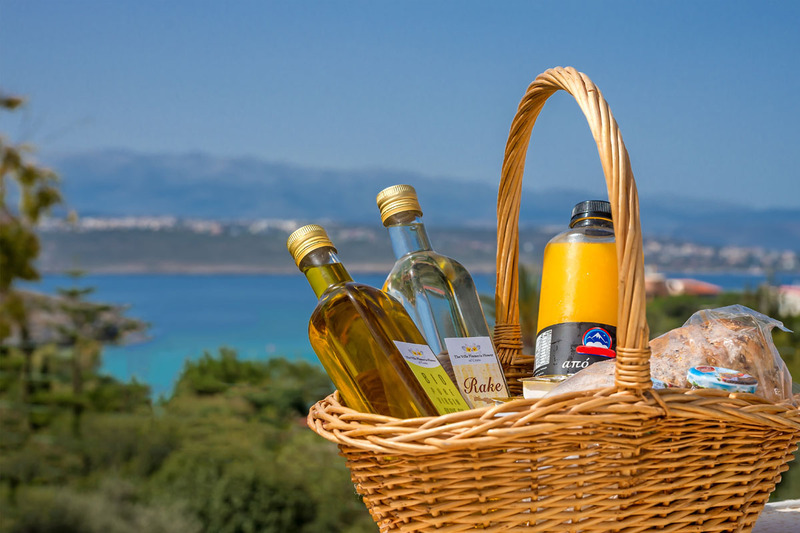 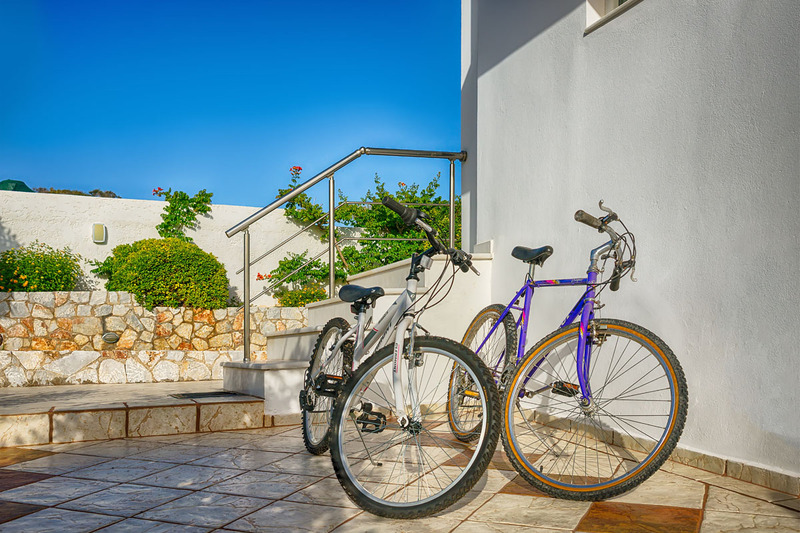 In addition to the superb kitchen facilities there is also a huge BBQ and food preparation area, ideal for those evenings when you prefer to stay at the villa and enjoy some al fresco dining.